Zandile holds a B.A Communications degree from the University of Limpopo and various professional development certificates to augment her competencies. She previously worked as a Project Officer for Higher Education and Training HIV/AIDS programme overseeing the implementation of the Future Beats programme. 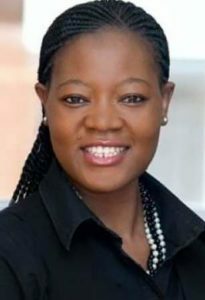 She has also worked with various organizations such as HEAIDS, Webber Wentzel, Harmony Gold and The Mining Qualifications Authority as a Communications and Branding Assistant. She has also dabbled as a Newsreader at Radio Turf and a content producer for Soweto TV’s Dlala ngeringas – Sisters, Mbokodo and the Dr Love Show in her formative years whilst a student. She has a passion for community engagement and radio is her first love.